Last month our family took vacation—for the first time in five years. While preparing to leave, I had one crucial task: the walk-through with our chicken sitters. We’ve known Rick and Amerie for ages. When I suffered severe head trauma several years ago, they helped with the chicken tending during my recovery. This would be their first time taking care of our birds on their own, however, so I fielded their last-minute questions. 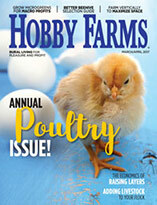 We chicken farmers can forget that poultry knowledge is general knowledge, and questions like this remind us otherwise. I usually get snapped back to reality by “Do hens need roosters to make eggs?” or “Why is my roosters crowing if it’s not morning?” Yet Amerie’s inquiry was first time I was asked how to identify fertilized eggs. The simple answer? You cannot eyeball an egg to identify it as either fertilized or unfertilized. The eggshell is merely an armored casing, protecting what is inside. It does not grow harder, become rounder or change color if a chick is growing within. If you bought your eggs from a commercial farm or a supermarket, however, you can safely assume that your eggs are not fertilized. “Eggs produced by commercial farms are never fertile because the hens are never with a male,” notes Dr. Richard Fulton, a diplomate of the American College of Poultry Veterinarians with more than 30 years of experience in poultry pathology and medicine. You can tell whether the farm egg you just cracked open for your breakfast is fertilized or not. Examine the egg for the germinal disc, a white spot floating above the surface of the yolk. The germinal disk of a sterile egg contains only the hen’s cells and is fully white in color. In a fertilized egg, the germinal disk contains the merged female and male cells. These will divide and multiply, leading to the development of a chick embryo. A fertilized germinal disk looks like a tiny white donut or bullseye—a white ring with a clear center. If you’re still not sure whether a collected egg contains a developing chick, candling the egg should solve the mystery. When candled, fertile egg at six or seven days’ incubation shows a fine network of blood vessels as well as a dark spot, the developing chick’s eye. Collecting eggs multiple times a day, every day, will ensure that the shell (eating) eggs you collect to sell don’t contain any special surprises for your customers. 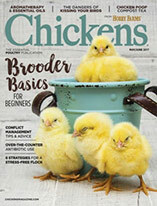 If your flock includes a broody hen or two, the mama wannabes might have been sitting on an egg. If your hen is setting with your knowledge, clearly mark the egg so that your kids, your spouse or any helpers don’t accidentally collect the incubated egg along with the freshly laid ones. I mark my girls’ clutch eggs with a fine-point permanent marker; markings made in pencil and watercolor marker are quickly worn off by humidity of the broody hen’s body heat. 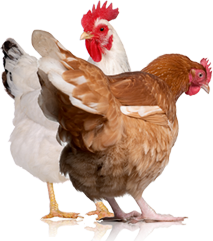 Of course, if you raise only pullets and hens on your farm, there is no need to worry about fertilized vs. non-fertile eggs, as there is no rooster present to fertilize the eggs. Your broody girls can sit on a clutch of eggs for days on end, and nothing will develop inside those eggs (aside from bacteria). Our farm, however, is a breeding farm, with at least one rooster in every coop, “Just assume that all the eggs are fertilized eggs,” I told Amerie. Our roosters are very active fellows, so this is a safe supposition. Can fertilized eggs develop into chicks? Only if they are properly incubated, either by a broody hen or in an incubator. Collected fresh from the nestbox, fertilized eggs are just as safe and tasty to eat as non-fertile eggs.